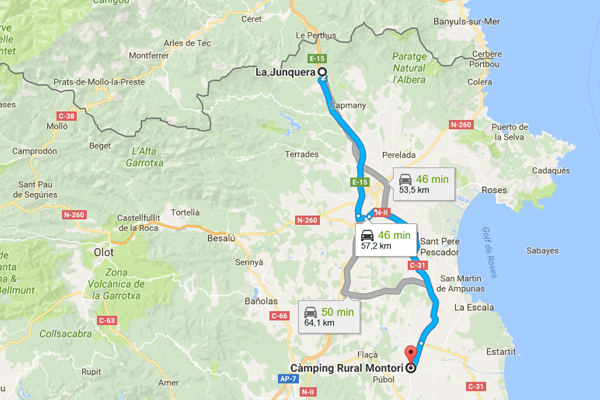 The campsite is located about 40 minutes from Girona-Costa Brava Airport and 1 hour and 40 minutes from the Airport (Barcelona). 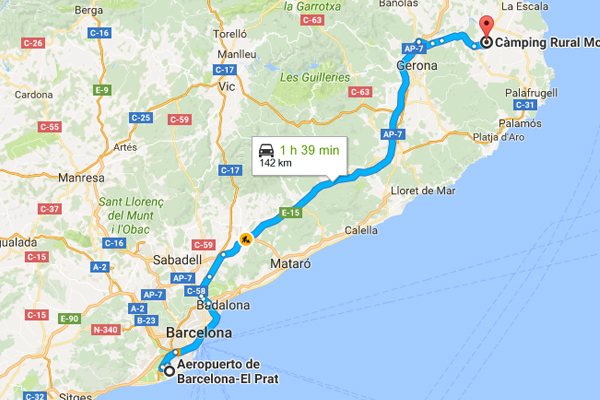 The best way to arrive from the south, either Girona or Barcelona, take AP7 north (France) and exit 6 Girona Nord. Take the C-66 direction Palamos. When we see the signs for Rupià, Torroella, Pals, turn left towards the GI-642. 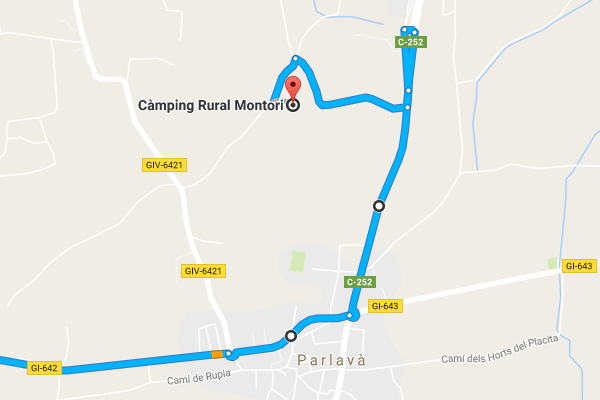 When you get to Parlavà, at the second roundabout, take direction Verges, Figueres, C-252. The next village is already Ultramort. Take the first entrance to the village, to the left and make a U-turn. Without joining again the C-252, turn right. Follow this paved road until the junction of four roads. Turn left and go up the dirt road. It will be there! 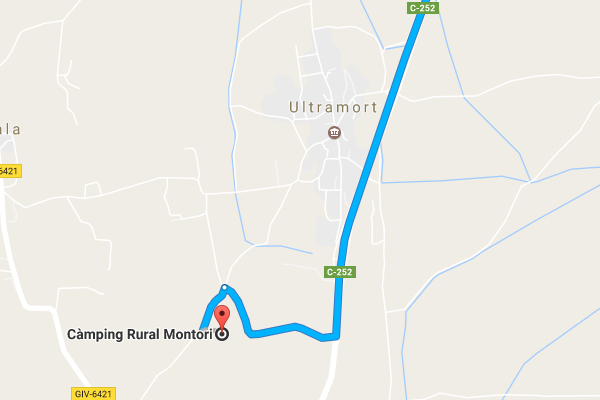 From the French border to Camping Rural Montori there is only about 60 km. 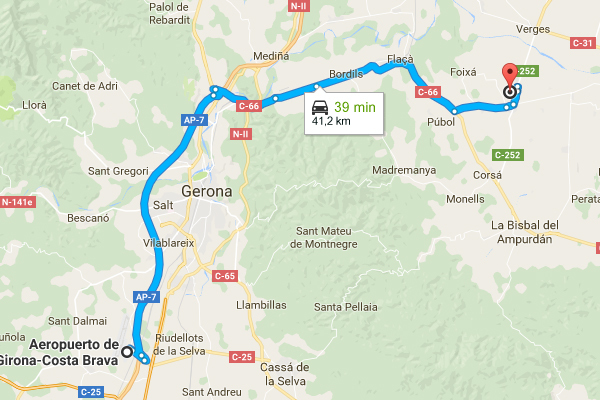 The fastest way to get there is by taking the AP7 towards Barcelona and leave it to the exit 4 Figueres / Roses. Then follow the NII a, and take the C-31 (L’Escala, Torroella de Montgrí, La Bisbal). Follow the C-31 until you reach the town of Verges where we go straight to the roundabout, taking the C-252. Once Ultramort, follow by the C-252, but not go to the first entry of Ultramort. Exit to the second one, and turn immediately to the left, as if we follow in parallel to the C-252 some meters. Then turn right follow the paved road until the junction of four roads. Turn left and go up the dirt road. It will be there!